Susan Sher is the Senior Adviser to the President of the University of Chicago, where she also serves as the University liaison to the Obama Foundation. Previously, she served in the White House as Assistant to the President and Chief of Staff to First Lady Michelle Obama where she was also Liaison to the Jewish Community. She also served as Associate White House Counsel, where she worked on health care reform and legal issues relating to the First Lady’s office. She was previously Vice President for Legal and Governmental Affairs and General Counsel of the University of Chicago Medical Center. She was the first female Corporation Counsel for the City of Chicago and a partner at Mayer Brown. 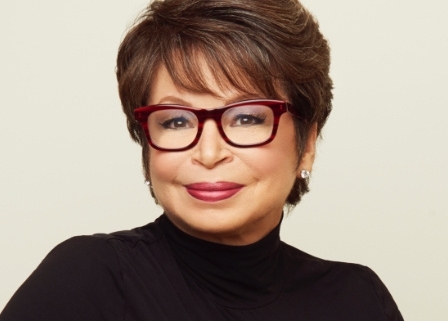 She currently serves on the Boards of Trustees of Loyola University of Chicago; the John F. Kennedy Center for the Performing Arts and the Partnership for a Healthier America. She is past chair of the University of Chicago Lab Schools and of The Chicago Network. Tickets are non-refundable. If you purchase a ticket and are unable to attend, you’ll have 30 days after the event to pick up your copy of FINDING MY VOICE. Purchase tickets at Brown Paper Tickets.